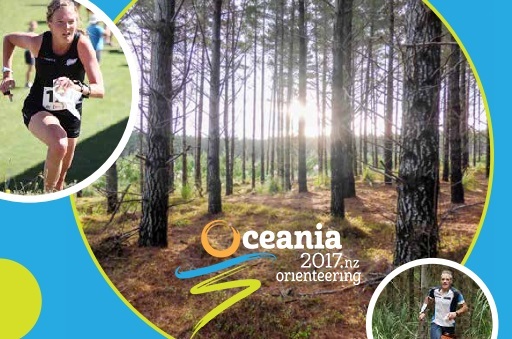 The following Sections in the printed version of Oceania 2017 Bulletin 2 have been updated. The latest version of the Bulletin (including amendments below) is on the Oceania 2017 website. Registration will be open from 17:00-19:00 on Thursday 13 April at the Unitec Gymnasium, Building 174 at Unitec. This is between Entry 3 and Entry 4 on Carrington Road, Mt Albert. Parking is via Entry 3 or 4. Coordinates are 36.878876S, 174.710505E. Please note the strictly embargoed area in Section 11 of the Oceania Bulletin. Map size A3 or A4. The Sprint competition area at Unitec has been embargoed since the venue was notified and continues to be embargoed until the competition is over, except for the areas shown on the map in Section 11. Competitors, team officials and other persons, who through knowledge of the terrain, may influence the results of the competitions, are not permitted to access the embargoed area. There is one Start which is a 600m walk from the Event Arena; allow 10 minutes. A quarantine for M21E and W21E will operate. The quarantine is located inside the gymnasium (building 1 on the map). This is the same building as the registration and entry to the quarantine is via the same entrance as registration. Quarantine opens at 11:45am and all M/W21E athletes must be inside quarantine before 12:45pm. Athletes must report to the exit marshal 15 minutes before their start. At minus-12 minutes they will commence the 450m journey to the pre-start area. The route will be signposted from the gymnasium. The warm-up area is inside the gymnasium – there is sufficient space in the basketball complex to do so. No spiked shoes are permitted in the gymnasium. Toilets are also available. A gear return will operate from the quarantine to the finish. The use of mobile phones, computers or any other communication devices inside the quarantine zone is strictly forbidden. It is not allowed to bring any maps of the competition area into the quarantine zone.